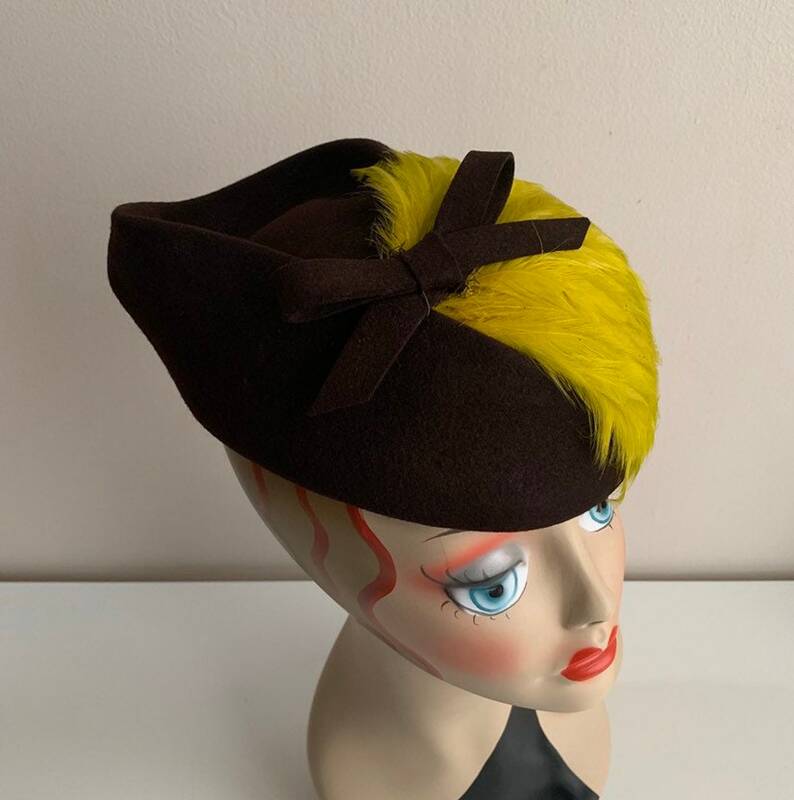 Vintage 1930s / 1940s women's brown wool felt structured fascinator hat with chartreuse green feathers and bow detail. 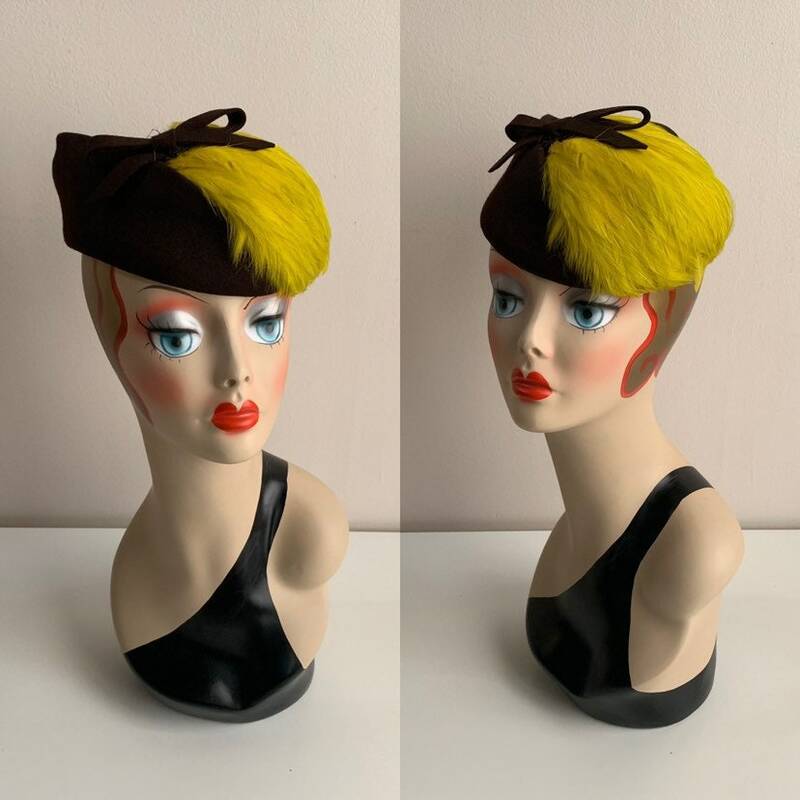 Near perfect vintage condition; very light wear from age and use. No holes, rips, tears, stains, markings, fading, areas of discoloration, loose sections, open seams, worn areas or other issues / damage. Very well-stored and well-cared-for by original owner. 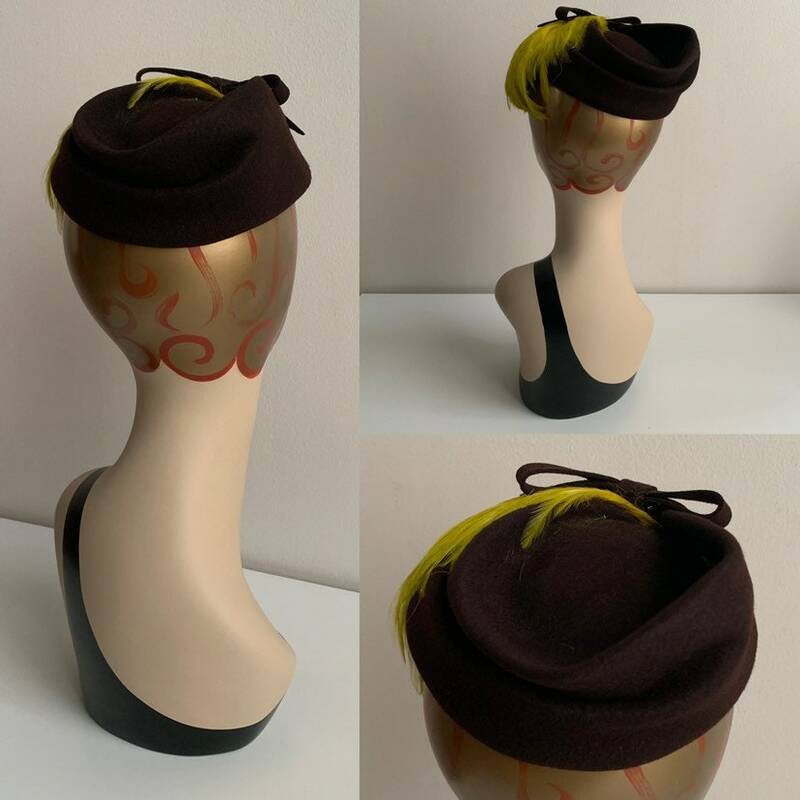 Brown felt is soft yet sturdy; hat holds its shape on it's own. 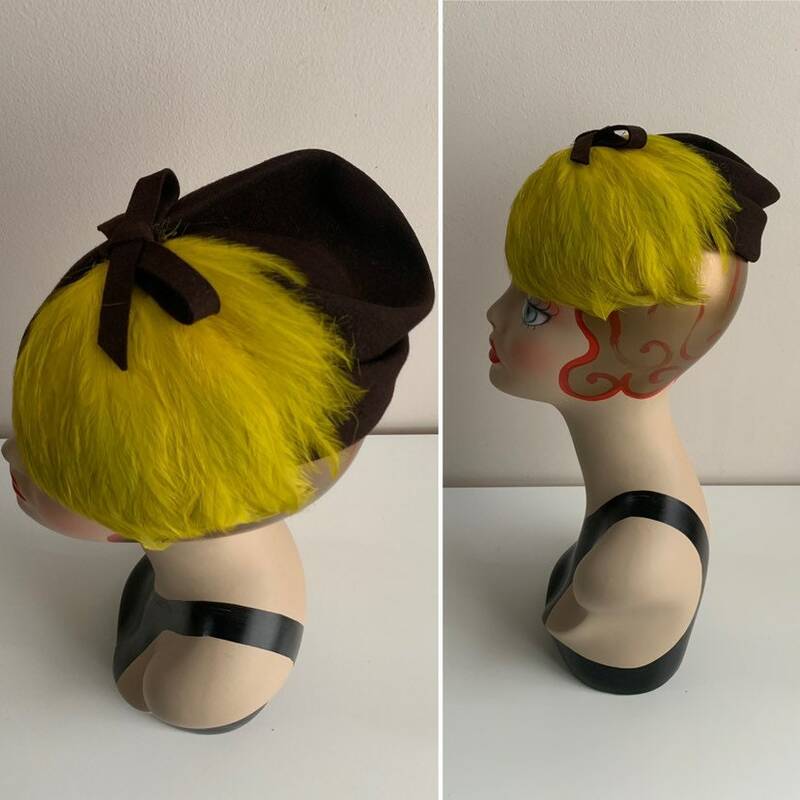 Lovely shape that contours to the curve of the head. 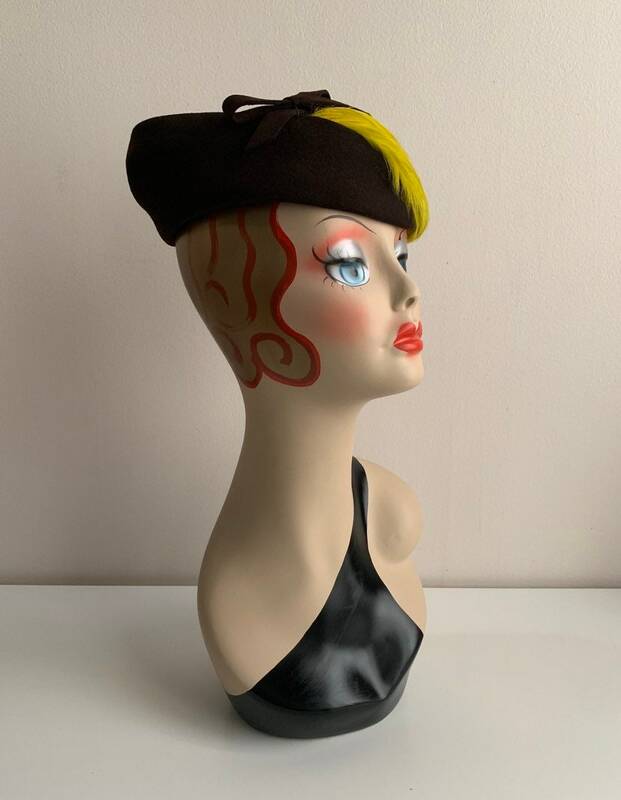 Front of hat has rounded shape that sweeps across the forehead. 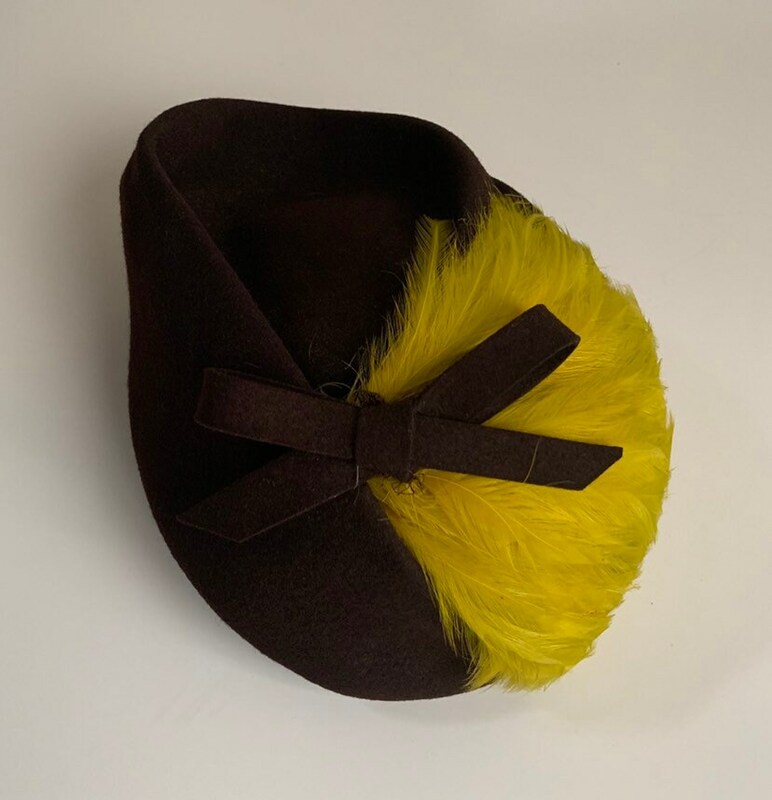 Large section of chartreuse green feathers are attached at top of hat underneath decorative brown felt bow. 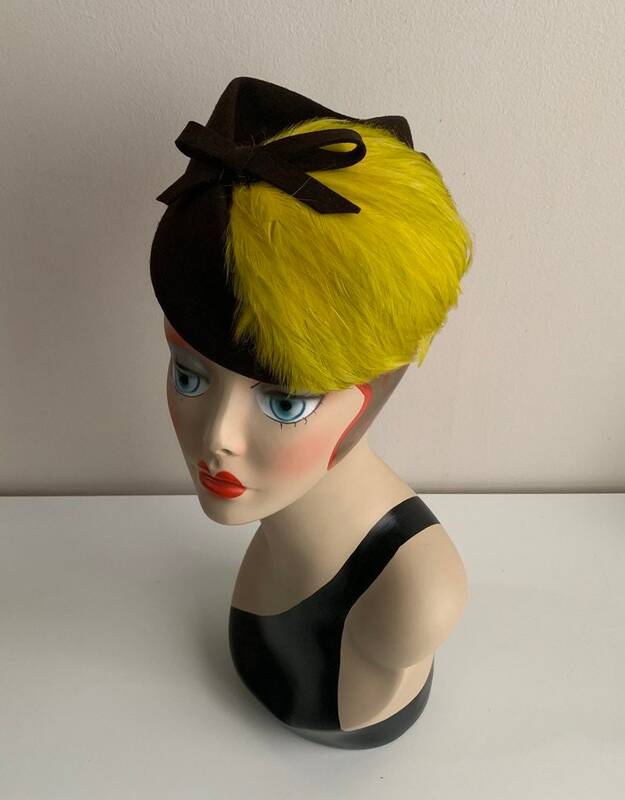 Feathers also sweep across front of hat following the rounded shape of the felt underneath. 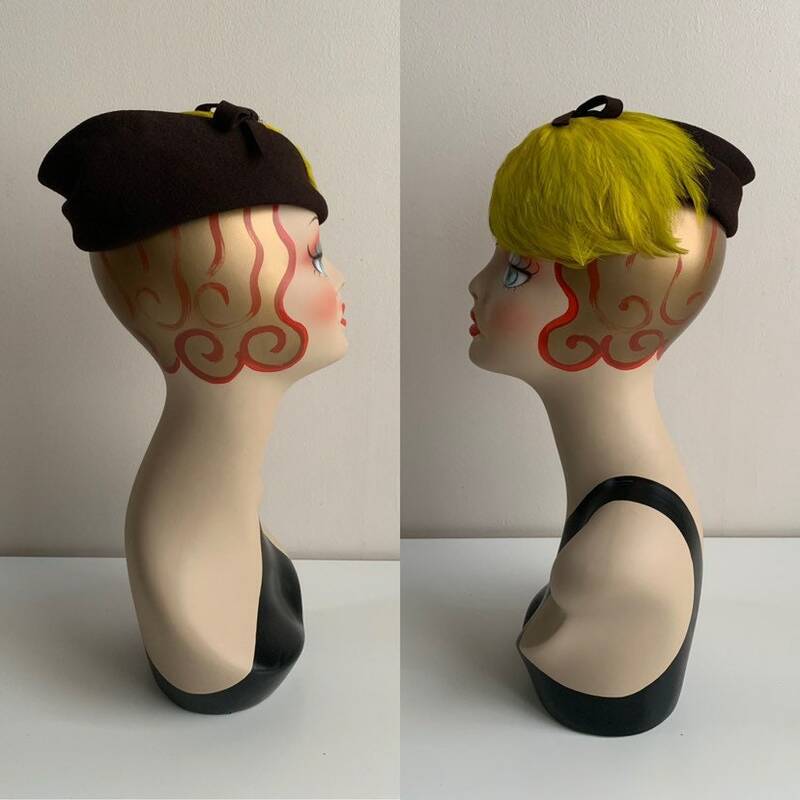 Back of hat is folded and molded to create a sculpted look. Made of 100% wool in the USA. 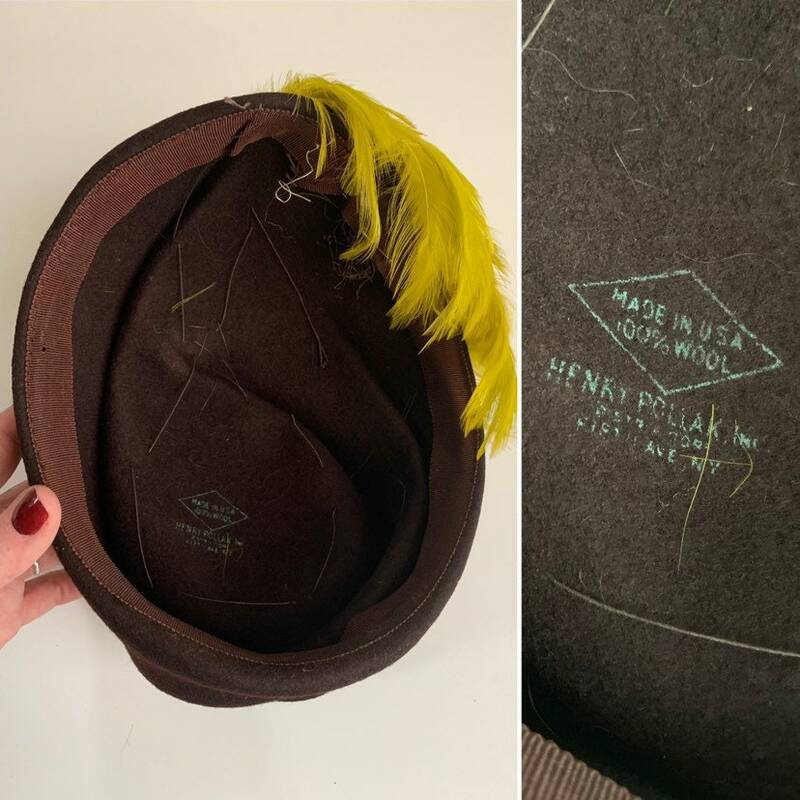 Made by Henry Pollak Inc. (see picture of underside of hat). Left to right on inside: 7"